We were visiting friends in another city last weekend and I was able to go to a Michaels other than my own. As my friend and I were leaving to go shopping, DH said, “Go ahead and ‘have fun shopping’ (spend money),” so I did, LOL! This other Mike’s had so many things mine doesn’t! On the one hand, it pizzled me off. Like, why is her Mike’s more special than my Mike’s? So. Not. Fair. On the other hand, I decided to take advantage of these extra products and pick up some of the goods in case my store never gets them. Perfect shopper’s logic, right? First, peep my new alphas. I’ve loved me some K & Company “Wild Saffron” since way back HERE. It’s one of my Top 10 Favorite Lines of All Scrappy Time and, therefore, I own just about the entire line. Well, I did not have these chipboard alphas; had never seen them in fact. So I got two @ $5 each :) Soooo spendy…. 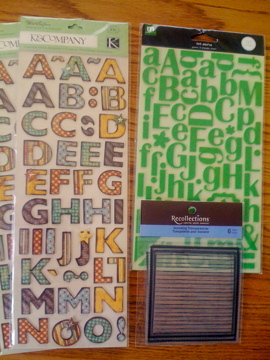 Also got these apple green felt letter stickers ($5) by Making Memories…so cute! And some journaling transparencies by Recollections. You get 6 ($3). I love the scallops on the edges, and that these will go with just about any layout. Since they’re see-through, they’ll take on whatever color ya put behind ’em. Here’s some more Making Memories…the “Autumn Splendor” glitter spiral journaling notebook ($5). Those leaf-shaped pages are my favorite. The yellow sheets say “I am thankful for…” and have some cute pears on them; I noticed pears on a lot of products so it must be a new trend. I’m thinking of scrapping with the yellow “thankful” pages at TG this year, having each family member write what they are thankful for in their own handwriting and collecting them on a layout or in a mini-album. 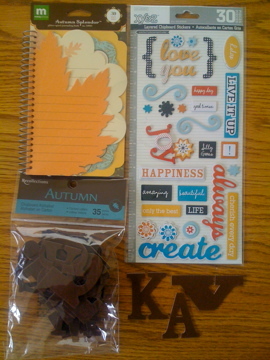 Keeping with the Autumn theme, we have some brown velvet chipboard alphas by Recollections (only $2 so I got two sets). I took a few out of the package so you can see the cute mixed font. The layered chipboard stickers are from the Colorbok “XY&Z” line; they’re called All Occasion. 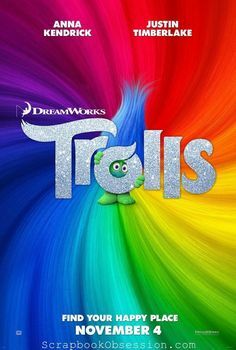 I love the happy color palette and the “create” sticker the bestest. 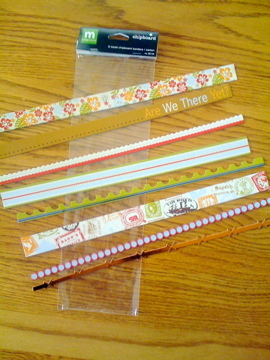 These are Travel chipboard borders by Making Memories ($3). Super cute, love the glitter and shiny blingy-ness. I have another set of these in a different theme and love them. I like to cut them up and layer or stack them on a layout. They’re hard to see in the package … I wanted to lay them out so you could see them. Last but not least, “Just the Edge” by Bazzill Basics ($3). 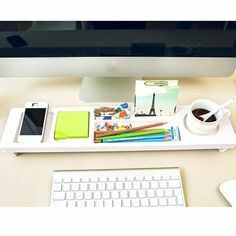 They had several colors but I chose white because then I can chalk, ink, paint, or ‘whatever’ them to match the look I want. Or even keep them white, lol. So many possibilities, right? There are 20 pieces, 2 of each style and, again, I spread them out so you can see each one. Here’s the part you will NOT believe. Are you sitting down? You sure? Okay. I bought all of this stuff…and none of it was on sale…and I did NOT have a coupon. No. Coupon. I know!!! 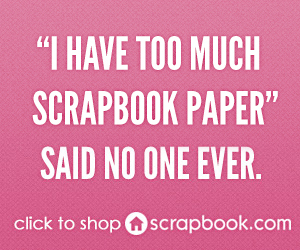 I truly did not think it was possible for me shop for scrappy goodies at full retail price. I did get a little case of the shakes and I almost couldn’t do it. But then I did. Spent a sickening $40, too. I could barely stand it…that’s just not how I roll. …when I realized I was traveling and would have to somehow get 12×12 papers home in a packed-to-the-gills car. So I put the paper back, and hope to someday find this stuff at my own Mike’s where I can buy some later. Have you seen these items at your Mike’s? Do you have or want any of them? 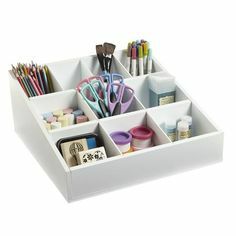 What’s your best find at Michaels lately? Reminder: Read HERE about how to try and win some blog candy…just over 2,000 hits to go until we hit 500,000! Love the Garage Sale line and Just the Edge! Great stuff! Like the Recollections line; didn’t know it was house brand. Not sure I’ve seen it. Really like the idea of buying white and coloring later. Been eyeing up Just the Edge for too long. It’ll be in my cart next time. Diggin’ on the Recollection stuff, ‘specially the bingo card paper! Thanks for keeping us in the know, ya know! oh LOVE ,LOVE the Bazill border lines..LOVE them- never have seen them- I will definitely be off tomorrow to search for them. It is nice to go scrap shopping with a girlfriend. 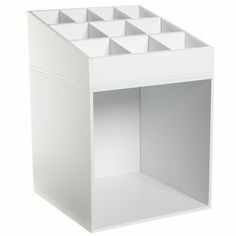 It is amazing how one can get giddy and excited over paper products..ha! No two Mike’s are the same…and it pizzles me off too. :-) I’m having a very hard time re-adjusting to the Mike’s here after living in the desert for two years. The Mike’s out there was HUGE, the scrapbook section was HUGE, they had everything! Not so with this Mike’s, and they’ve changed everything around. The scrapbooking stuff is spread all over the place…it just doesn’t flow, if you know what I mean. They could sure use a good space planner. What fun finds! I hardly ever buy abything at M’s w/out a coupon too! I was there yesterday and bought a cute wood sleigh to alter! You got some seriously fun stuff! Those Bazzill borders look great! It’s nice to see them separated like that. Of course, now I have a mission for you since you are close to Mike’s and go often – I’ve heard they have a bunch of new punches and dh bribed me with a promise of a punch the other day, so now I need to know if it is worth the journey to a MIke’s to check them out! LOL! Did you see them? What do you think? I’m a Martha and EK fan, and I love Fiskars punches, too. I’m thinking border….but I’m open! LOL! There is nothing quite like a nice batch of fresh, yummy paper goodies to get the creative juices going. Nice picks! Love it all! How’s the room redo coming? I have two M’s near me. One is big and the other quite small. But sometime that is good. The big one runs out of stuff before the little one sometimes. 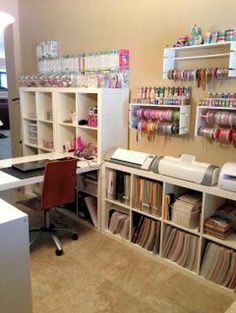 Will have to shop for scrapbook stuff there now since my favorite scrapbook store is going out of business. :0(. How is the room coming? Love your haul! Lucky you! That was sweet of your dh to let you go wild. ;) Mine has moments like that, too. I have the brown fuzzy chipboard alphas, but now I’m wishing I had gotten 2 packs also. I saw those white bazzill borders online and really liked them. 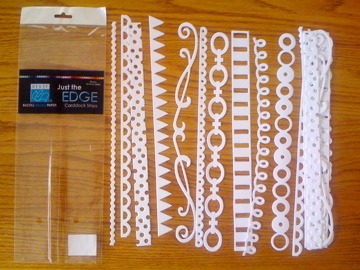 That one looks like the MS loopy edge border punch. Great choice on the white….that’s prob the one I would have gotten, too. The MM journaling spiral book is cute. My mike’s didn’t have it. With the recollection ones that you got, do you use a sharpie to write on them? Garage Sale is my fave, too. I am definitely getting in to Mike’s today or tomorrow. The open stock paper shelves were verrrrry bare when I was in last Saturday, so I am hoping they will have restocked by now. Those items are all great! I love the yard sale and bingo papers. !!! Look at you !!! Great finds! Wish I lived closer to a Michaels. did you get your answer .. what to do with them?